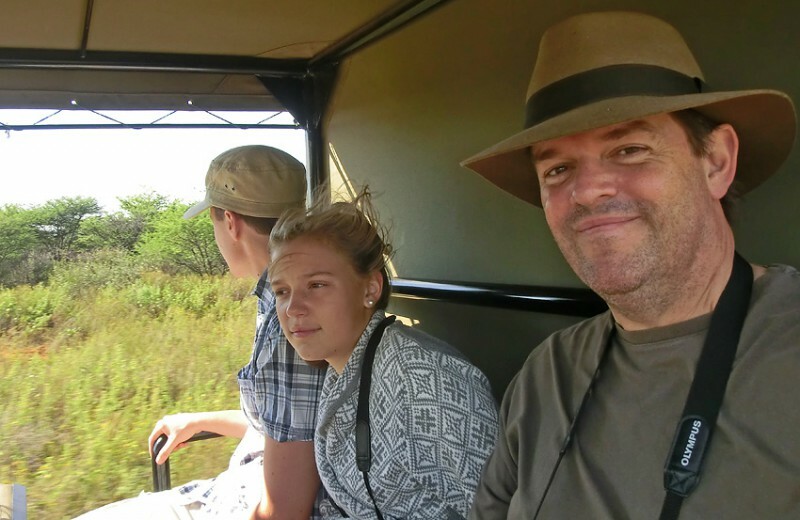 After our good days in Etosha we came to a very nice lodge just outside Otjiwarongo – Frans Indongo Lodge, named after Namibias “self made man”. Mr Indongo started as a poor farmer boy in the north of namibia and is today one of Namibias wealthiest men. There is even a street in Windhoek bearing his name. As a fact Mr Indongo was staying on the lodge when we were there. 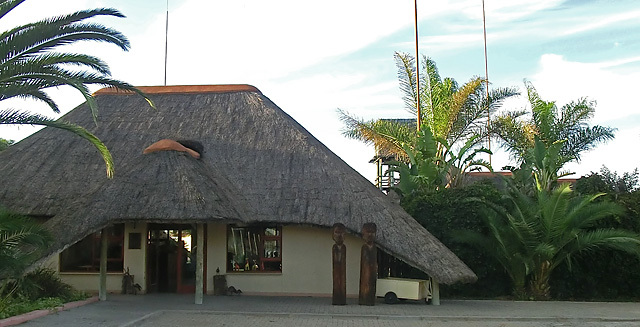 This is a very nice lodge with an abundance of antilopes on the plain in front of a wooden deck outside the restaurant. But for us this was just a place to spend the night. 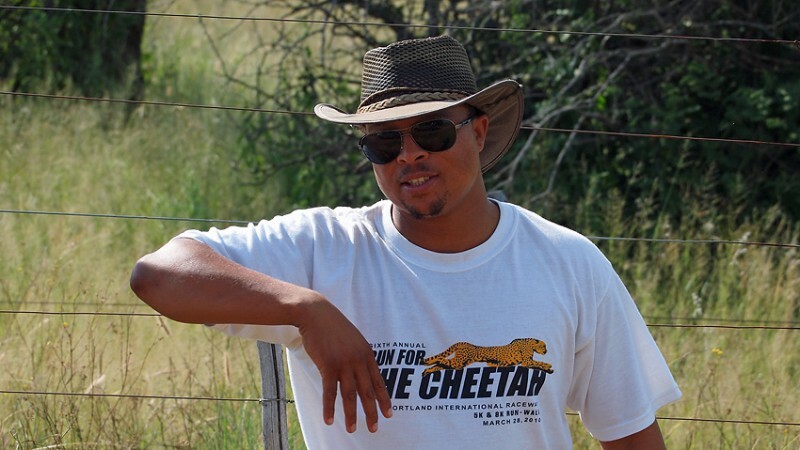 On our way from Etosha to Windhoek we wanted to visit the Cheetah Conservation Fund. 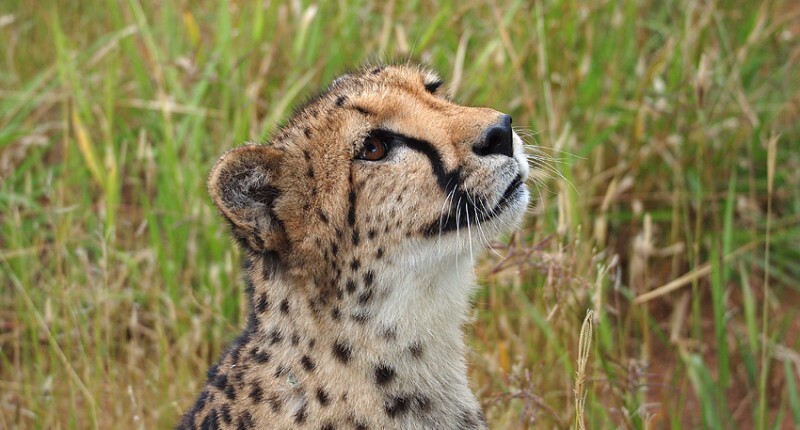 The CCF is aiming at saving the cheetah in Namibia, the country in the world that has the greatest number of wild cheetahs. A Cheetah needs 2 kg of fresh meat every day. So, using it’s great speed it kills frequently, takes the best meat and leaves the rest. 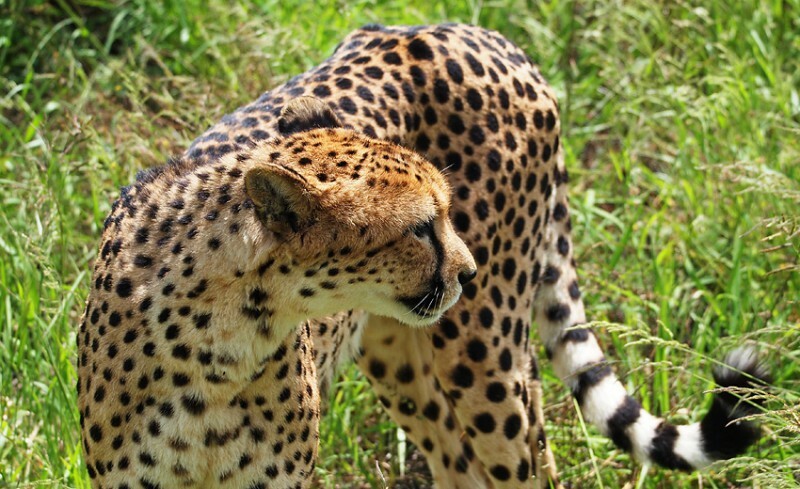 A Cheetah can’t take the risk of staying with it’s kill to defend it. 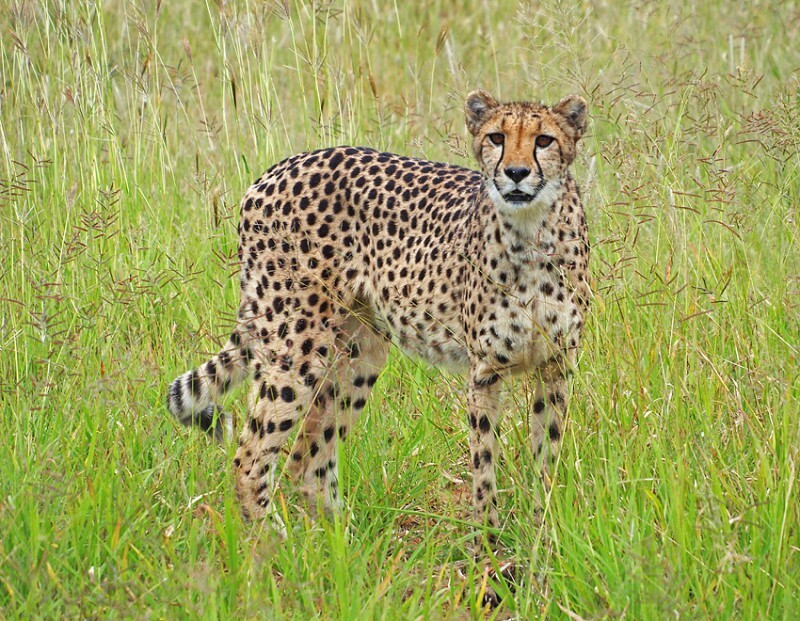 A fight with another animal may give it wounds that will stop it from being the fastest running animal in the world. Naturally farmers are not fond of animals like these and one of the tasks for the CCF is to help farmers find ways of combining the protection of their live stock with accepting Cheetah on their grounds. One way of doing this is that the CCF breads a special kind of dogs that they give for free to farmers that are willing to accept Cheetahs. These dogs are extremely good watch dogs that will protect goats and cattle and at the same time they manage to do this without hurting or killing Cheetahs. We arrived and immediately got on a car for a drive. 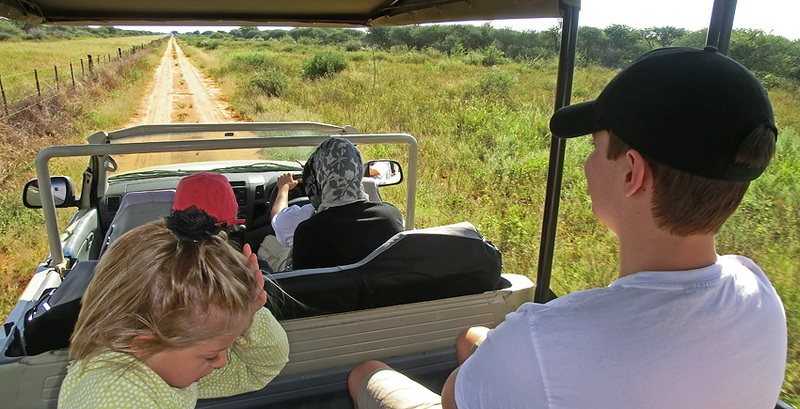 We were heading for a big enclosure that is used as a training camp for Cheetahs. Our guide for the day was Charles, a most enthusiastic guide who clearly loves his job. 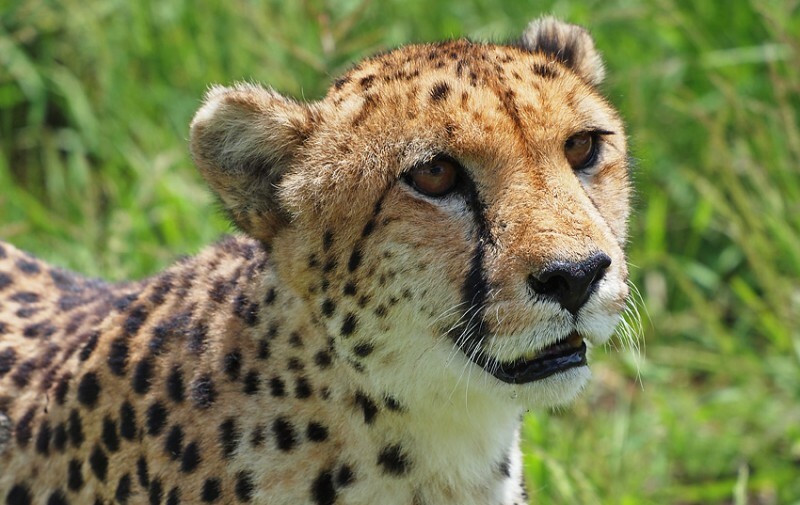 If the CCF finds a farmer willing to accept Cheetah the CCF can place a trained Cheetah there. 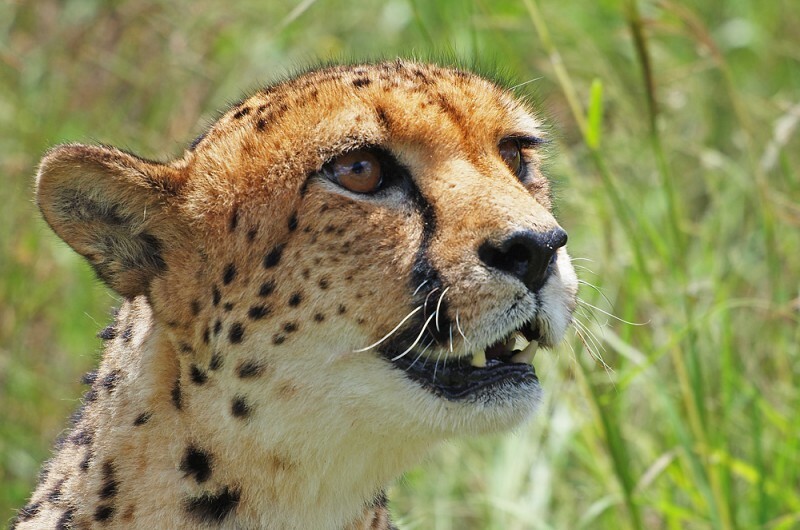 Before this the Cheetahs are selected and put on this training. 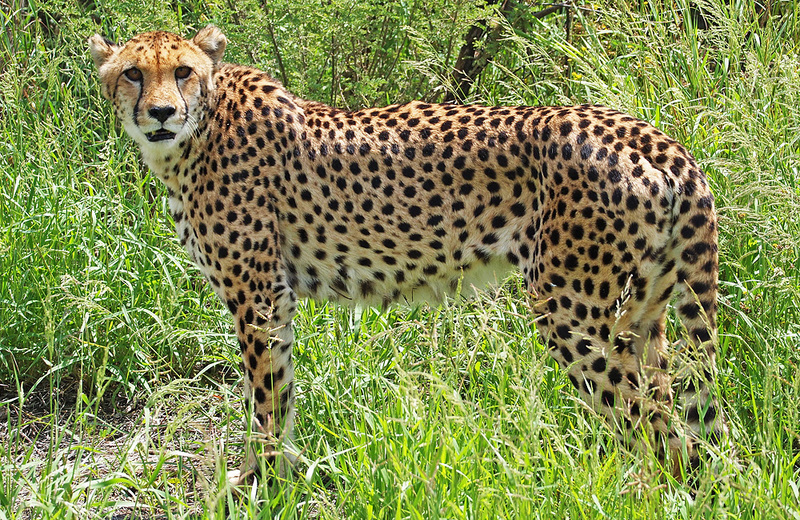 Each Cheetah is an individual with it’s own name. They start “in the wild” but are still being fed. Later on feeding stops and they will have to hunt to survive. 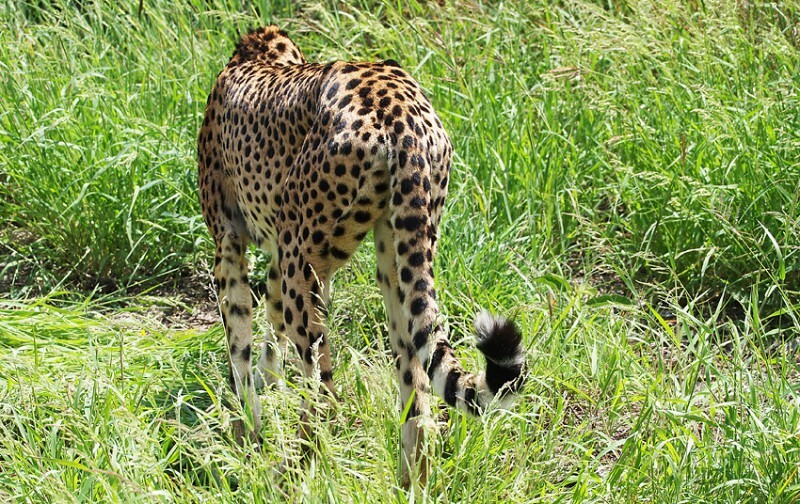 During this “training” the Cheetahs are monitored daily. If their health and hunting skills are good enough they can one day be put back as wild animals in the Namibian nature. 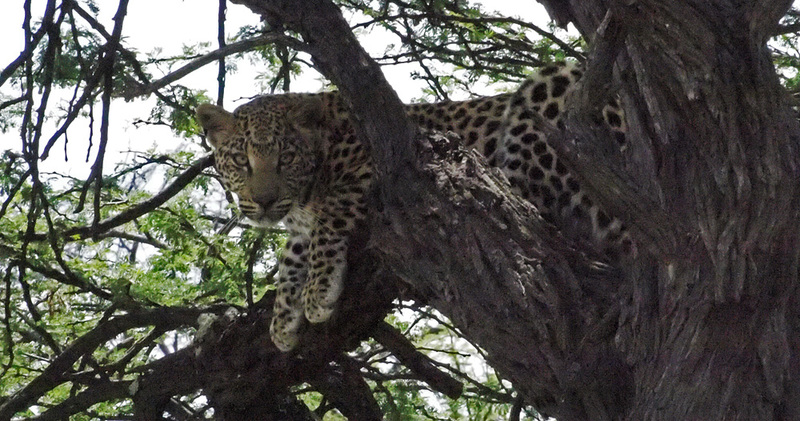 High up in a tree next to the road this young leopard was lying, observing us. As we stopped the car he climbed down and disappeared. 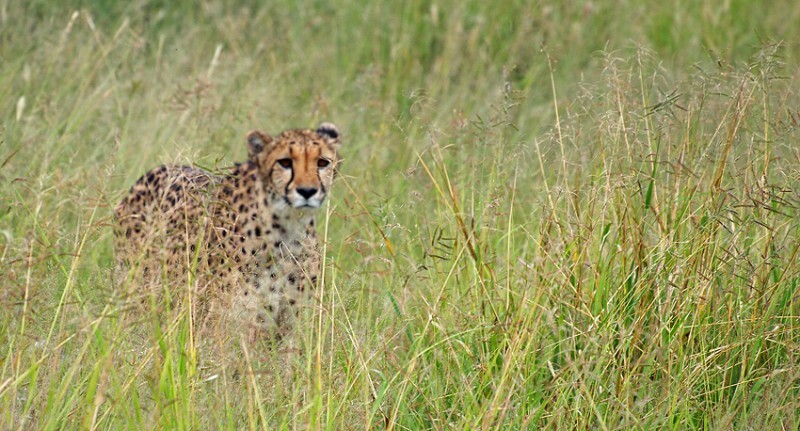 Leopards hunt at night and you are very lucky to see one. 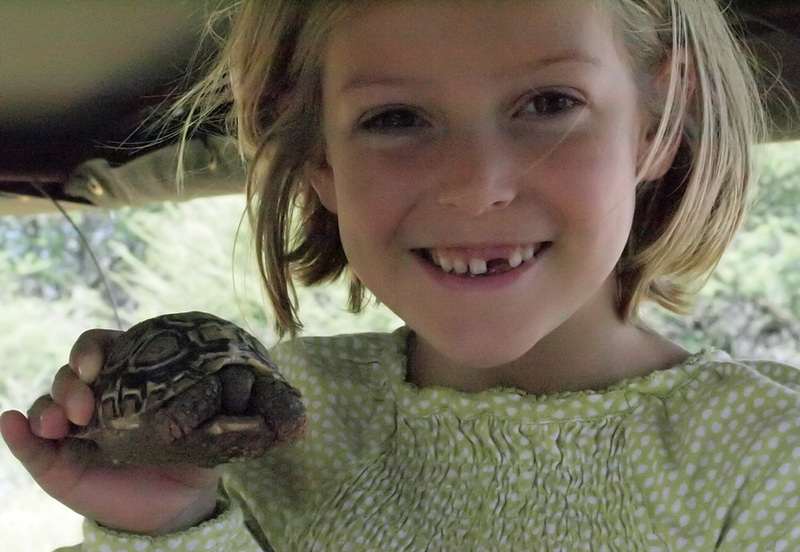 We also saw smaller animals like this cute turtle we found in a puddle of water in the road. Back at the CCF central area we found lots of fenced areas with Cheetahs and we could see them being fed. 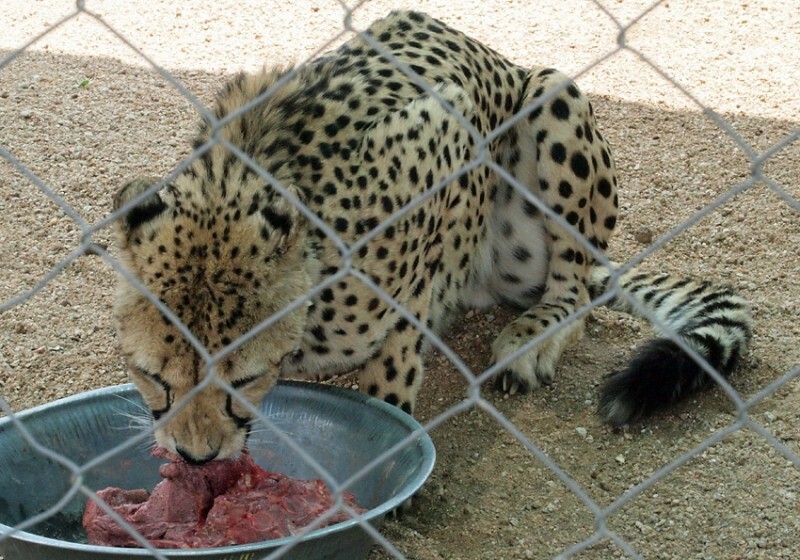 The reason for the feeding bowls is mainly that they protect the Cheetahs from eating dust. After this we got into the car again for the last part of our day. It was to be the nicest part. 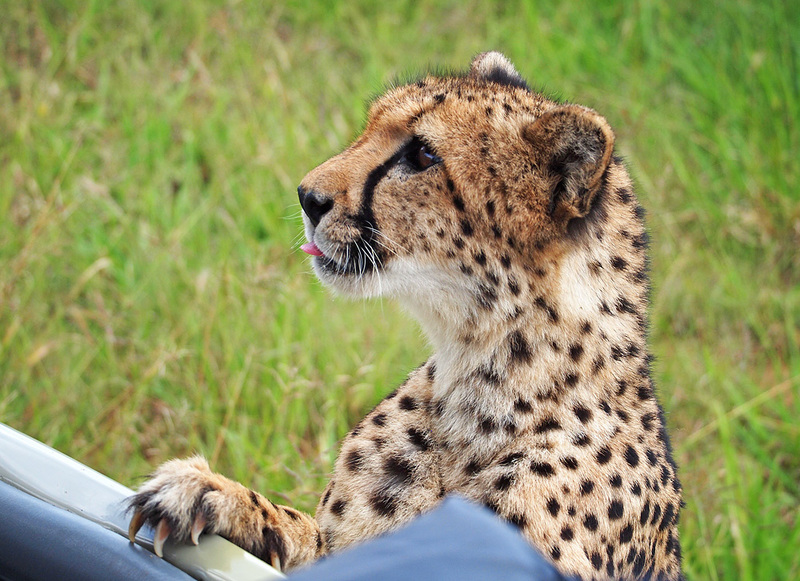 Charles drove the car inte two big areas with Cheetahs. They are here because they “failed” their training camps in some way and they can not be sent back to wilderness. 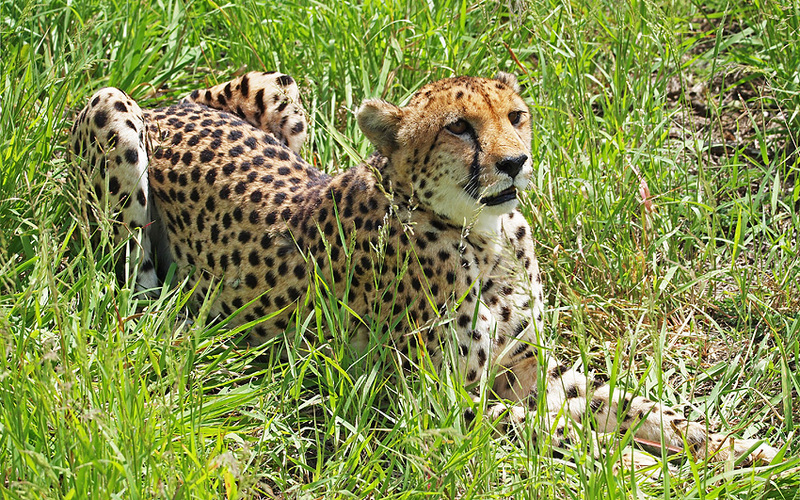 These Cheetahs are very used to cars and know there is a treat if they come closer. So they come very close and Charles loves them and knows them all by name. One of them even put a paw on the car, just inches from Dan and Marie. 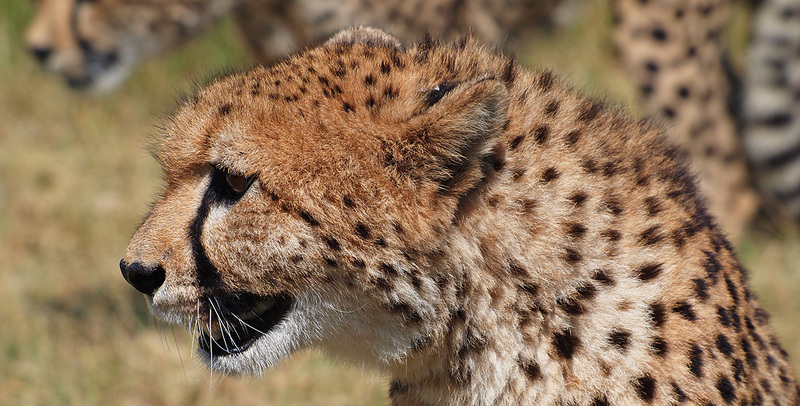 As you see the Cheetah – unlike other “cats” – doesn’t withdraw its claws. They are used as “studs” to help them run fast. 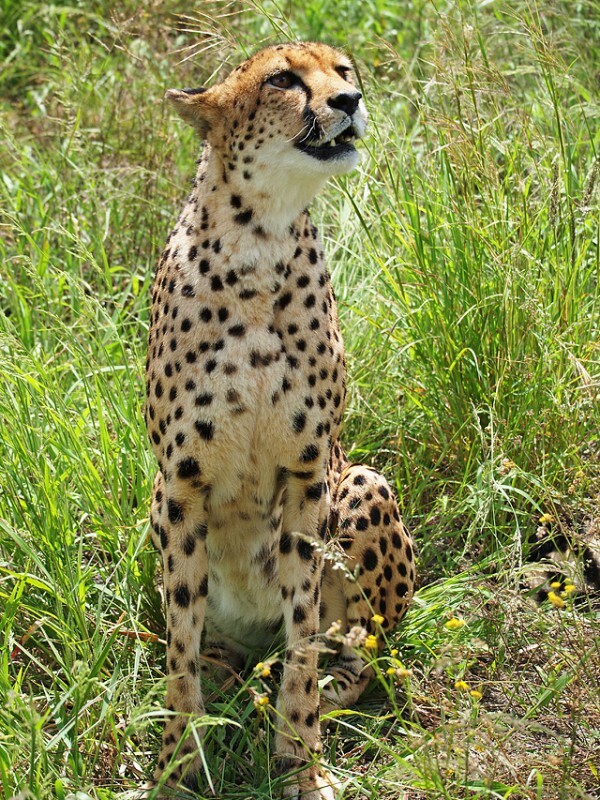 we got a fantastic opportunity of taking photos from every angle of these beautiful cats. Of course Hanna wanted us to bring one home. Cheetahs can be very tame but I think they are much better off here than in a home. Coming this close to these amazing animals was great. I can recommend a visit to the CCF.